Reform means a change of externals. Reform is a patchwork program and is justifiable only when the thing that is to be reformed is basically sound and worth saving. Revolution, on the other hand, is a change from within; it corrects evils at their roots instead of making them more bearable by patching them; it is a fundamental reconstruction or the replacement of an old order with a new. Revolution is imperative when the old system, like the medical system, is rotten to the core and contains nothing worth saving. Revolutions grow out of revolutionary situations and are not the work of agitators. Along with events and their consequences, dictated, not by the intelligence of man, but by what he conceives to be essentially non-rational forces of power and need, man and his institutions take new directions. Although from Hippocrates to Galen and especially from the Renaissance to Jennings and Graham, efforts at medical reform had been legion, no fundamental change in medical systems had ever taken place. What came about at this time appears much like the fulfillment of history by its own natural agents. Out of the contradictions, confusions, chaotic and heterogeneous collection of delusions that were called the art and science of medicine, out of the conflict of the schools, out of the obvious failure of medicine to fulfill its promises and out of the refusal of the medical men to consider the normal needs of life in their care of the sick grew the need, nay, the urgent necessity, for a revolutionary reconstruction of biological thought and a resurrection of a biological view of man's needs. The whole medical system of Western society was in a state of chaos and confusion. It is not surprising that the revolution had its first beginning in France, where medicine was most progressed. As early as the beginning of the nineteenth century, there were physicians in France who discarded drugs and relied upon "nature" and "good nursing." By the middle of the century the number of these had swelled and they adopted a special name for themselves. In Germany the water-cure was launched at about the beginning of the second quarter of the century. In Sweden, the Ling system soon rose to popularity. In Britain Andrew Combe, M.D., and William Lamb, M.D., attempted to lead the people into physiological ways of caring for themselves. Combe attempted to found his practice upon physiology; hence, it should not surprise us that it had much in common with the Graham system in this country. So great was the influence of Combe's works that in some places, where people took regular exercise, bathed regularly, secured fresh air and adopted all processes of physical education, the practices were called by the name Combeing. Lamb had much correspondence with Graham. About the reform and revolutionary movements of Europe we have little to say in this book as we are primarily interested in the development of the system of Natural Hygiene which took place on American soil. In a general sense it is probably correct to say that the revolution in Europe and that in America were interrelated and interconnected; it is certain that they exercised considerable influence upon each other. Especially did the works of Priessnitz, Schrodt and Rausse of Germany, Ling of Sweden and Lamb and Combe of Britain influence the American scene. The French school seems to have exercised very little influence outside of France. So far as the present author knows, the history of the French revolution has not been written. As evidence of the influence exerted by the American movement upon European thought and practice, American Hygienic journals and books had a wide distribution in England. Trall, Nichols and Gove lectured in England, while Nichols and Gove published in England a magazine entitled, the Herald of Health. An abridged edition of Graham's Science of Human Life was also published in that country. Theobald Grieben of Berlin published in the German language the following translations of books by American Hygienists: Tea and Coffee, by Alcott; Chastity, Science of Human Life and Fruits and Vegetables, by Graham; Science of Love, by Fowler; Diseases of the Sexual Organs, by Jackson; and Sexual Abuses, by Trall. A German translation of The Curse Removed by Nichols (a book on painless childbirth) was translated by a German physician and published in Germany. The physician played fast and loose with the translation and made Nichols recommend drugs in the German edition. It was into the milieu of doubt and uncertainty, of disease and death that Sylvester Graham threw a stone in 1830. A rock hewn out of physiological truth could not help destroying many fallacies and providing a way of escape for the thinking and observing members of society. A revolution was started that will not cease until the old order has been completely demolished and a new one fully established. Only the existence of a revolutionary situation, created by the failures and contradictions of medical theories and practices, made possible the immediate and widespread acceptance of the truths announced by Graham, his contemporaries and successors. As Graham's lectures and writings represent the launching of a crusade for health and what he called "physiological reform" of the people and not the actual beginning of Hygienic practice, I shall begin this story with his predecessor, Isaac Jennings, M.D. A writer in The Science of Health, January 1876, includes Jennings along with Trall and others as worthy of veneration for their revolutionary work. Jennings launched no crusade and his work had not been made public at the time Graham launched his crusade--hence the tendency to start with Graham. I shall consult chronology rather than the beginning of the public work at this time. Jennings says that he made his debut in medicine under the flag of Cullen, having studied under the celebrated Professor Ives of New Haven, Conn. and Yale. After 20 years spent in the regular drugging and bleeding practices of the time, during which his confidence in drugs and bleeding had grown steadily weaker so that his lancet had been sheathed and his doses were fewer, further apart and smaller, he discontinued all drugging in 1822 and relied thereafter on Hygienic care of the sick, using water (drops of it) and bread pills to meet the demands of his patients for "medicines" for another 20 years before he made public the secret of his phenomenal success. 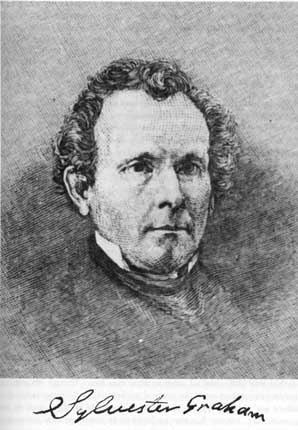 Writing in 1852 on the occasion of the publication of Jenning's second book (The Philosophy of Human Life ), R. T. Trall, M.D., said of his career: "Dr. Jennings is widely known as the advocate of the 'orthopathic' plan of treating disease--a plan whose details mainly consist in placing the patient under organic law, and there leaving him to the vis medicatrix naturae. From the dawn of creation down to the year of our Lord eighteen hundred and fifty-two, this method of medicating the vital machinery has been 'eminently successful;' and the personal experience of the author of the work before us demonstrates the reasons of its superior efficacy over the drug-shop appliances, so widely and so fatally popular. "With a mind well constituted for critical observation, and the right opportunity for calling its powers into action, Dr. Jennings, after having received a thorough medical education, commenced the practice of the healing art drugopathically. But his zeal to relieve his fellow-creatures of their maladies, secundem artem, was not rewarded by the results he had been instructed to expect. He noted, also, in consultation with his more experienced professional brethren, that old doctors, as a general rule, gave much less medicine than young ones. The former trusted more to nature; the latter trusted all to drugs. This led him to doubt the prevalent ideas of the faculty of medicine; and further observations induced him to discard them altogether. "While enjoying an extensive practice in Derby, Conn., some thirty years ago, he changed his manner of doctoring the people to an extent little suspected by his patrons of the time. Laying aside the well-filled saddle-bags, he furnished one pocket with an assortment of breadpills; another pocket was stored with a variety of powders made of wheaten flour, variously scented and colored ; and a third pocket with a quantity of vials filled with pure, soft water, of various hues. With these potencies in the healing art, he went forth 'conquering and to conquer.' Diseases vanished before him with a promptness unknown before. His fame spread far and wide. His business extended over a large territory; in fact, no other physician could live at the trade of pill-peddling in that place. "Such was, and ever has been, and such ever will be the consequences of substituting innocent placebos, of the do-nothing medication, for that which consists in sending a score of physiological devils, in the shape of apothecary stuff, into the stomach, blood, bones, and brain. Dr. Jennings, before removing from Derby to Oberlin, Ohio, disclosed the secret of his remarkable success; and, although his customers were generally still inclined to 'stick to the old doctor,' it is hardly probable that at this day there are many who have not fallen back into the slough of despond, medically speaking, so difficult is it to induce people to think and act rationally for themselves. "The general plan of the work is sufficiently expressed by its title. We commend it to the general inquirer after truth, more especially the medical man. It seems to us impossible that any candid physician of the old school can peruse its pages without getting some of the dark and foggy delusions, and musty unphilosophical theories of that school, driven out of his head, to run like the swine of an ancient parable, down to the sea of oblivion, and be there drowned out of the recollection of men." Writing in 1853, N. Bedortha, M.D., records that after 15 to 20 years of the bread pill and pure water practice, Jennings "burst the bubble he had been so long inflating, and came out before his medical brethren, and before the world a sworn enemy of all drug medication." He adds that "surprise and chagrin seized his medical friends, but the effect upon the community in which he practiced was various. Some denounced him as an imposter, unworthy of confidence or patronage, and were ready to stone him for deceiving them; while others, who were the more elevated portion, though confounded by the ruse practiced upon them, took the doctor by the hand and said--'If you can cure our diseases without the use of medicine, then you are the doctor for us.'" Jennings continued his no-drug practice, which he called the "let alone" practice, for another 20 years before he retired. He worked out a theory of disease, diverse from any that had preceded him, which he called Orthopathy. Disease, in this theory, is a unit and, in its various forms of fever, inflammation, coughs, etc., is entirely true to the laws of life, which cannot be aided by any system of medication or any medication whatever; but, relying solely upon the healing powers of the body and placing his patients in the best possible conditions for the operation of the body's own healing processes, by means of rest, fasting, diet, pure air and other Hygienic factors, he permitted his patients to get well. Bedortha records that Jennings was never successful in getting his theories and practices accepted, although many "warm friends" adopted his views. Although so great was the success of Jennings and so far did his fame spread, that Yale University conferred an honorary degree upon him in recognition of his unheard-of success, many of his former patients complained, when he publicly revealed his plan of care, that Jennings had charged them for "medicines" they had not received and deserted him. They would no longer employ him. It was not enough that he had saved their lives (many of them would have died had they been drugged in the regular manner), greatly shortened the period of their illnesses, relieved them of the chief expenses of disease, preserved their constitutions unimpaired and preserved their health. Oh, no! They wanted what they had paid for; they had not paid for services, but for "medicines." Had they employed drug-giving physicians, many of them would not have lived to pay their drug bills; but this did not weigh, in their judgment, in Jennings' favor. An editorial in the Herald of Health, January 1865, says of Sylvester Graham, who was not a physician, that he was "pre-eminently the father of the philosophy of physiology. In his masterly and celebrated work, the 'Science of Life,' he has given the world more philosophy and more truth concerning the primary and fundamental laws which relate man to external objects and to other beings, than any other author ever did--than all other authors ever have. Though his writings are in poor repute with the medical profession, and his vegetarian doctrines are condemned by the great majority of medical men of the present day, no one has ever undertaken to controvert his arguments, and probably never will. To him, as to all other pioneers in the Health Reform, the customary remark applies: he was an assiduous worker and thinker. His book has now been before the people of this country about thirty years, and has been republished and circulated extensively in Europe, and is everywhere regarded as the pioneer work in the great field of Physiology and Hygiene. For a few years preceding his death, which occurred in 1851, he had been engaged in writing a 'Philosophy of History,' to which he had devoted much time and close and careful study, one volume of which has been published since. He died at the age of fifty-seven. No doubt he would have lived many years longer if he had labored more moderately. It should be stated, however, that he inherited a frail constitution, and before he grew to manhood, he was regarded as in a decline, and was saved from fatal consumption only by a resort to those agencies and conditions which are now understood by the phrase, 'Hygienic Medication.'" Hygienic Medication at the time this editorial was penned included the use of modalities of the "Water Cure;" whereas Graham's recovery took place before Priessnitz had originated his water cure. The importance attached to the work of Graham is further attested by a statement made in this same editorial that the lectures and writings of Graham and Alcott had previously prepared the public mind for the investigation of a new mode of treatment. Here reference was had to hydropathy or the water cure, which was introduced into America from Germany in the early forties of the last century. 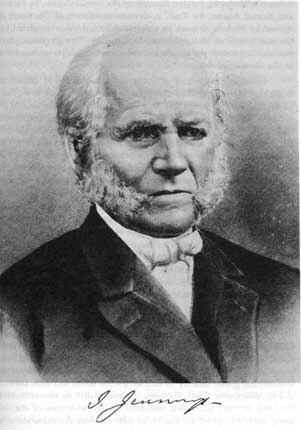 Also, there is the statement made by Robert Walter, M.D., in an article in the January 1874 issue of The Science of Health, that "Sylvester Graham, with 'The Science of Human Life,' made a great step in advance; and, though some of his theories are not what later developments would approve, he nevertheless made a valuable attempt at systematization." A writer in the Herald of Health, January 1865, said: "R. T. Trall, M.D., is the discoverer of the Philosophy of Medical Science, and the father of the system of Hygienic Medication. While others have done much to agitate the public mind, and develop great truths in the healing art, it was left to him to solve the great primary problems which must underlie all medical systems, and to base a theory of medical science, and a system of the Healing Art, on the laws of nature themselves. No author except him ever traced medical problems back to their starting point, and thereby discovered their harmony or disharmony with universal and unalterable law. In this manner he has been enabled to do what no other author before him ever could do, viz, explain the nature of disease, the effects of remedies, the doctrine of vitality, the vis medicatrix naturae, and the laws or conditions of cure. His philosophy goes back of all medical systems and proves to a positive demonstration the fallacy and falsity of medicating diseases with poisonous drugs. Hygienic medication, therefore, is, with him, a system, full, perfect, complete, and of universal application. Knowing that the system he teaches is grounded in scientific truth, he boldly challenges all the medical men and all the scientific men of the earth to meet and oppose it; but no one accepts the challenge; although they continue to drug and dose their patients into premature graves. "Probably no man who has lived in modern times has been more persistent and consistent, more active and uncompromizing, as an author and practitioner. If all of his writings in the form of books, journals and lectures could be collected together, they would make quite a respecttable library. His professional correspondence and practice have also been extensive and arduous, and when we add to these circumstances the fact that he is engaged in writing and has nearly ready for the press, several works of greater magnitude and importance than any he has yet given to the world, on which he has expended already much time and labor, it will be readily understood that he can have few idle moments." 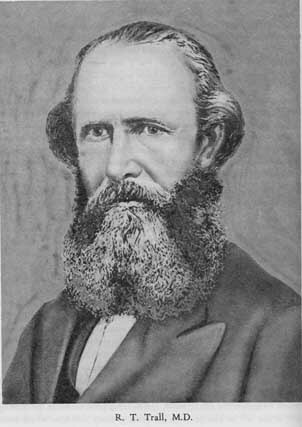 In a discussion with an allopathic physician, a Dr. Wilson, in the Journal, February 1854, Trall said: "It was the good fortune of my patients that I had the good sense to discover the falsity of many medical doctrines, and the benevolence to repudiate the practice of many of the most destructive of the drug-shop appliances, even before I was made a 'graduate.' Hence, I never administered such deadly drugs as nitre and tartar emetic, which you know or ought to know are the common medicaments in candies, lozenges, cough syrups, soothing cordials, &c., that are so generally fed to children, per advice of Allopathic doctors; never used leeches nor scarificators; never bled much, nor blistered much, nor gave much mercury; in short, during my whole career as a 'regular,' my drugifications were continually growing 'small by degrees and beautifully less,' till there was not force enough of poison left to kill a baby or mar a shadow." Although far from being alone in the creation of the modern system of Hygiene, these three men may justly be said to have contributed most to our understanding of this field of knowledge and art. Hygiene is not the gift or invention of any man or group of men, nor of any association of men. It is not a creation of the laboratory, nor the result of discoveries that were made only after centuries of painstaking research. Its modern pioneers were brilliant men who were not afraid to depart from the ruts of orthodoxy and search for truth in despised places, but they were not men of the cloistered laboratory. Writing in 1840, Graham said: "When with an honest and earnest heart, I looked steadily to nature for illumination, and with guileness of a little child, said, 'Give me truth!' she poured her clear and discriminating light into my soul--not with the overwhelming splendor of full day, but with increasing degrees as I was able to receive and endure, and employ profitably withal. In short, I had no sudden revelations of Nature's great truths; I made no sudden changes in my diet and general regimen; but as I received instructions I advanced, laying aside a little here and a little there, till, by virtue of unremitting and untiring perseverance in research and investigation, and careful experiment and observation, I was at last permitted to step upon the broad threshold of that great system of physiological and psychological truth, which as a humble instrument in the hands of Divine Providence, I am now suffered to promulgate to the human world." Not by divine revelation, as so many have claimed for their "discoveries," but by a close and careful study of nature did all these men come to their knowledge. Hygiene represents a return to that pristine mode of living that emerged with man when he first appeared on the earth; it is a revival of something precious that had been all but lost during the course of ages, thanks to the corrupting and perverting influences of shaman, priest, physician and trader. These, with their false systems and false teachings, have led the race astray. When and where ignorance and superstition have prevailed with all their mind-beclouding and debasing influences, there disease and crime abound. These three men--Jennings, Graham and Trall--together with Alcott, Taylor and others in this country and Combe and Lamb in England set the world to thinking on Hygiene. They were great men, greater by far than were Napoleon or Alexander. Any man who gives the world valid ideas and elucidates genuine principles is a man whom the world most wants and will come, ultimately, to admire. All but two of the pioneer Hygienists were medical men who had become disillusioned with medical practices and were honest and courageous enough to seek elsewhere for truth. These two were Sylvester Graham and Mary Gove. The revolution here described required a complete and radical change in the mode of thinking of the people. They had to be biologically reoriented and had to be weaned away from the supernatural orientation fostered by the priestcraft. They had to learn that life is subject to law and order and is not at the mercy of capricious and whimsical ghosts. They had to learn the truth about the relations between the living organism and the many elements of its environment; especially did they have to learn the true relations of drugs to the organism. They had to learn that health is man's normal state and that disease is abnormal. It was necessary for them to understand that man is the builder of his own diseases and that disease does not come upon them without cause. It became necessary for them to learn that acute disease, instead of being the enemy it had long been regarded, is a remedial process. It was necessary for them to understand that living organisms are self-healing and that all the caretaker can do that is of any constructive value for the sick is to provide wholesome conditions and usable materials, It is especially necessary that they learn that cure and curing represent false ideas and false practices. Most of the world still has these facts to learn.